Boots Extracts has been developed to make a difference. Extracts have created this wonderfully indulgent cocoa butter body wash with Fairtrade certified ingredients. 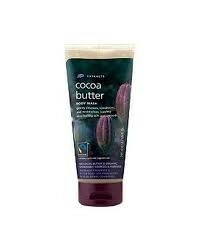 Extracts cocoa butter body wash gently cleanses, conditions and moisturises, leaving skin feeling soft and smooth. Extracts cocoa butter body wash contains cocoa butter which is organic, sustainably sourced & fairtrade. Gorgeous scent, easy to use and lathers up well. I really like this body wash, it has an amazing scent and cleans the body really well. Easy to use and good bottle. "I love this body wash, It smells like chocalate which is a change from the usual run of the mill flowery aroma,s. The tubes handy..."